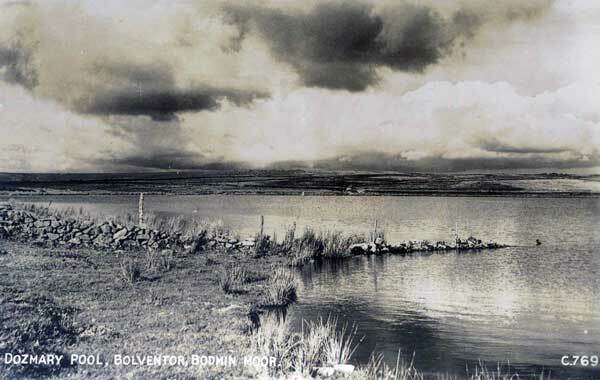 The history of Bolventor near Launceston. | Launceston Then! Bolventor (Cornish: Bedhasbold) is a hamlet on Bodmin Moor in Cornwall, United Kingdom. 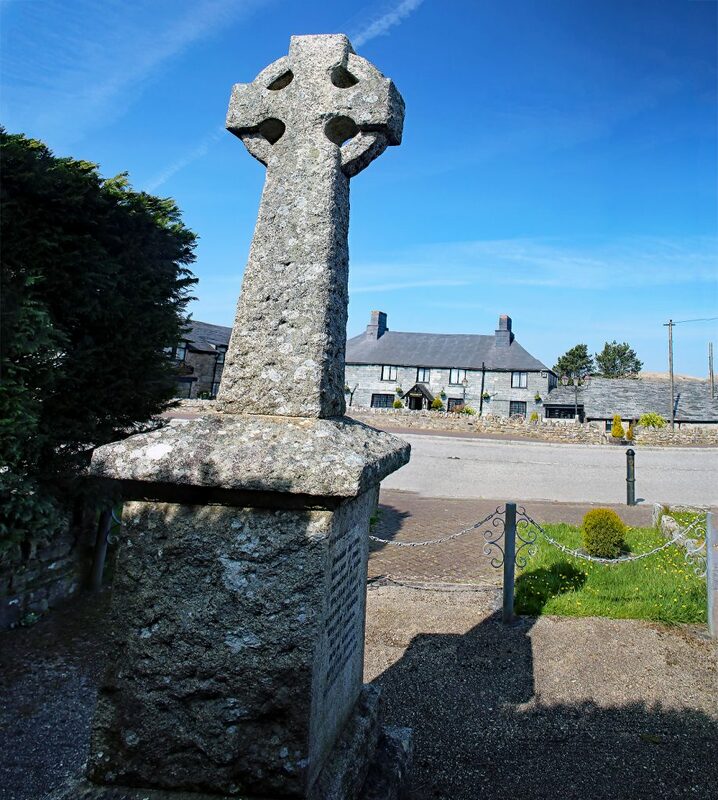 It is situated in Altarnun civil parish between Launceston and Bodmin. 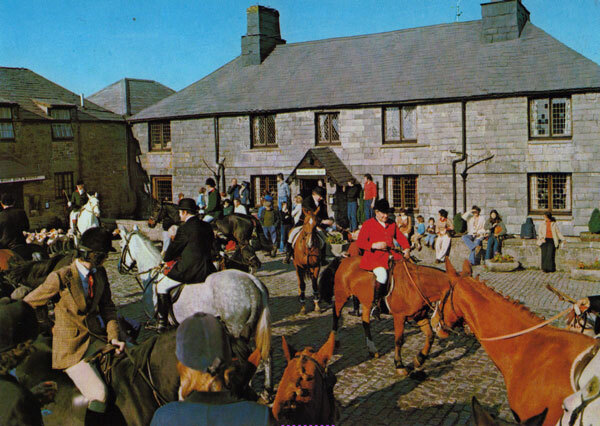 The hamlet was originally called by the name of the “Bold Venture” given it by the land owners in the mid to late 18th century as the area was developed around the coaching inn located on the moorland. 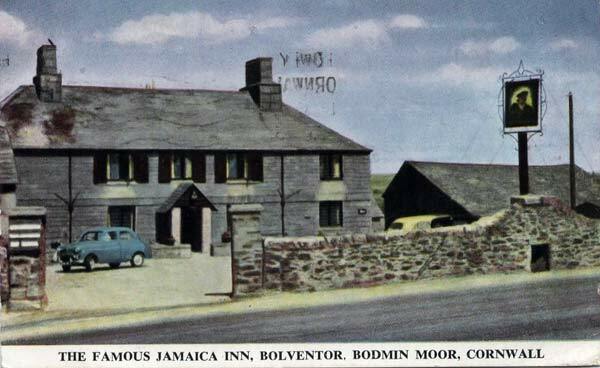 Bolventor is the location of the famous Jamaica Inn coaching inn. 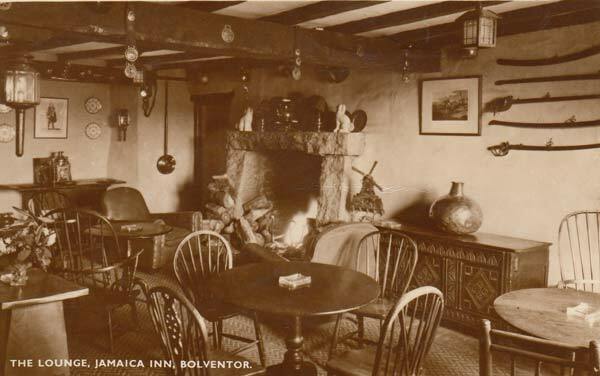 Daphne du Maurier chose Bolventor as the setting for her novel about Cornish smugglers titled Jamaica Inn. 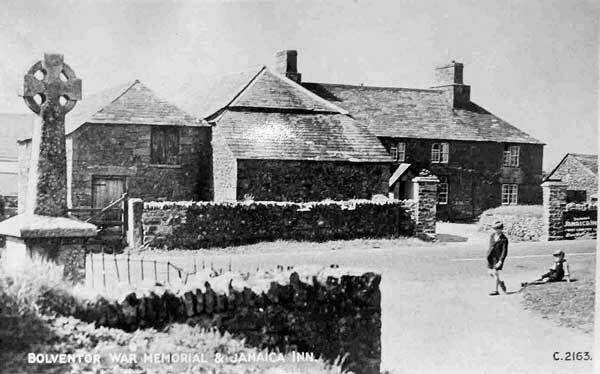 The inn that inspired the novel, Jamaica Inn, has stood beside the main road through the village since 1750. 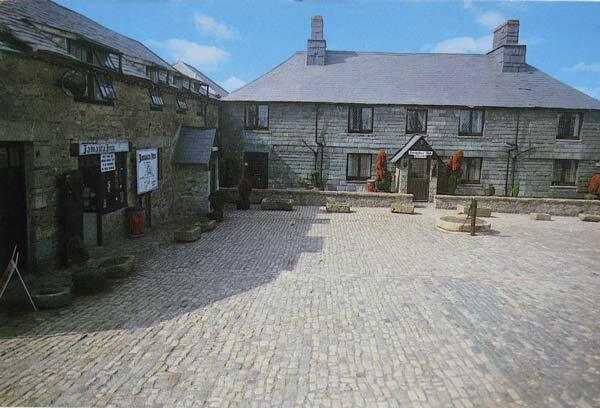 It is now a tourist attraction in its own right and dominates the village. 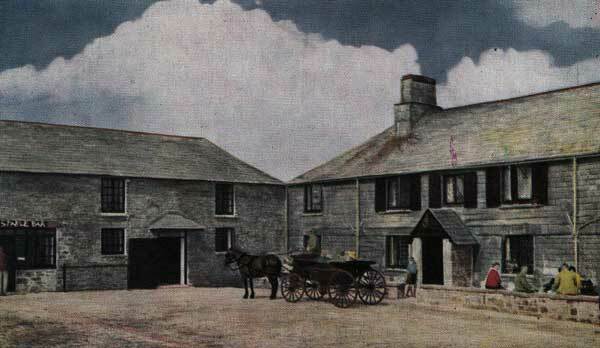 Jamaica Inn was originally the New Inn of the Tithe Apportionment. The name changed when a member of the Trelawney family, the then Lords of the Manor, held a Government post in Jamaica. 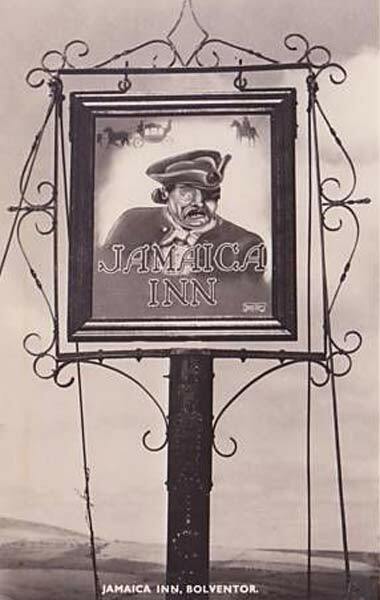 When he retired and came home, the Inn was renamed Jamaica Inn in his honour. 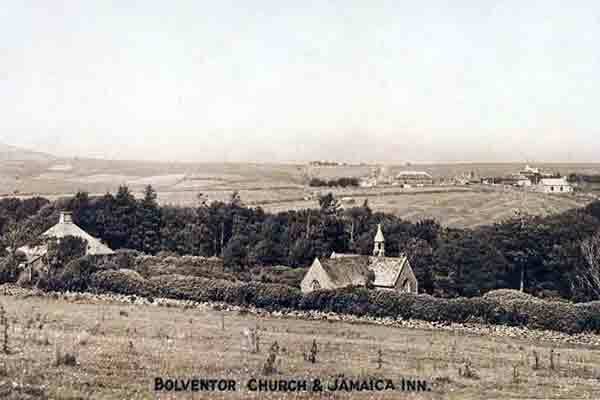 Bolventor parish was established in 1846 (before that date the village was in St Neot parish) but has now been merged with Altarnun. 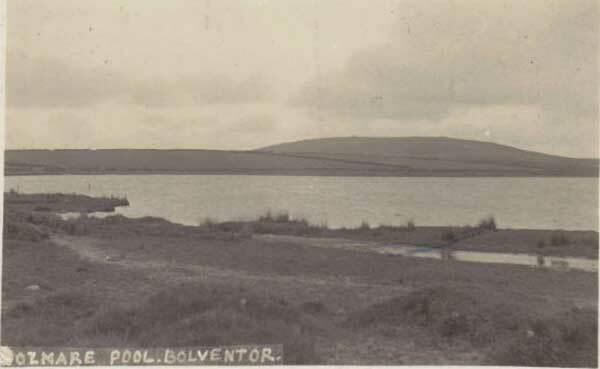 In the 1840’s, the Bolventor Moors were being cultivated. 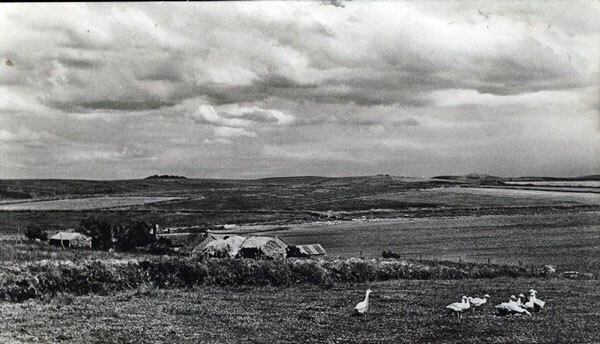 There had been some farms in the surrounding parts (Codda, Trezelland, Lonkey Moor, Dry Works, Carneglos, and Goodaver – all in the parish of Altarnun) but the rest was open moorland. 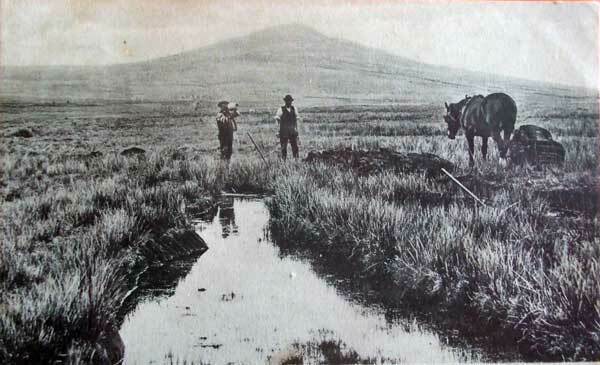 Then people were encouraged to go and break in the moors, build houses for themselves and their cattle, and hedge the fields they made, under a ninety-nine-year lease. Population soon began to increase. 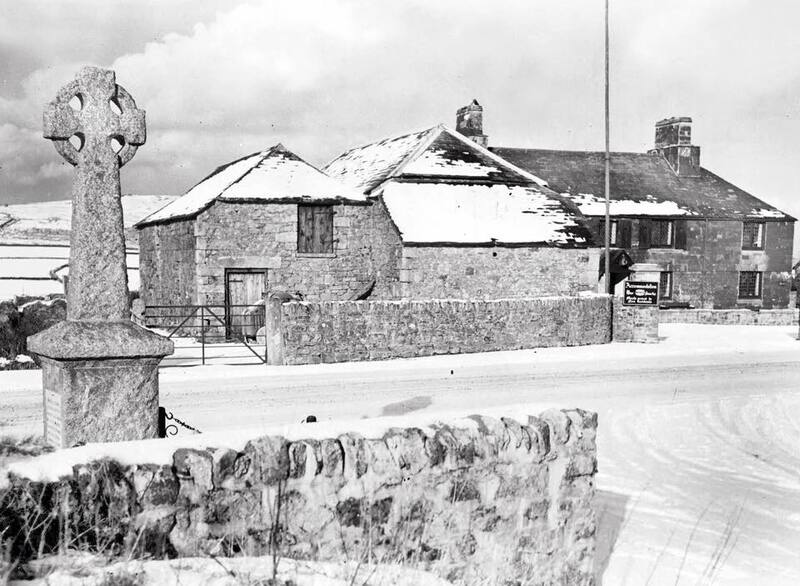 There had been a chapel of St. Luke – a joint effort of Launceston and Tywardreath Priories – planted in the district in the Twelfth Century, but this had been suppressed under the Chantries Act and desecrated at the Reformation. 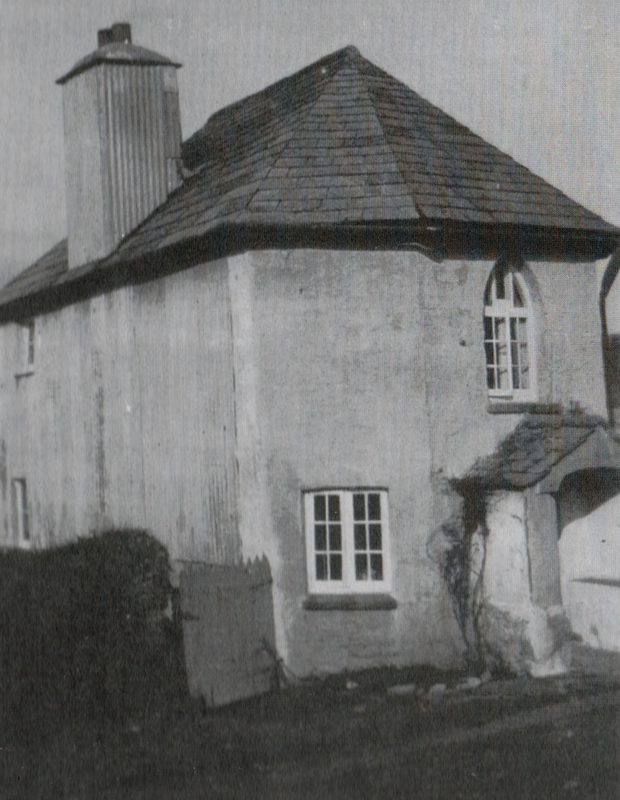 The Norman font of this Chapel was taken for the new church of St. Luke, Tideford, in the 1840’s and there was nothing left except some foundations at St. Luke’s farm on the Dozmary Road. 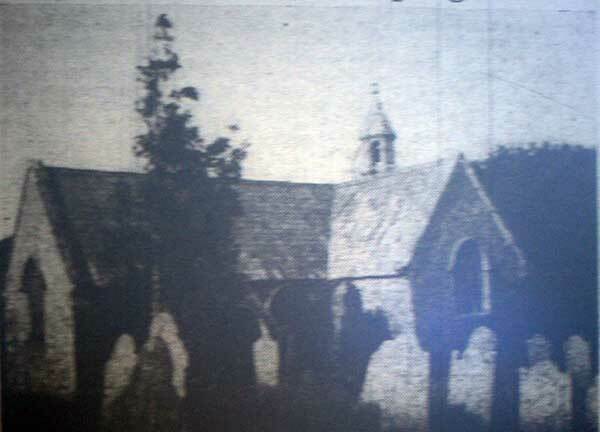 The new St. Luke’s Chapel was built on the St. Cleer Road in 1891. 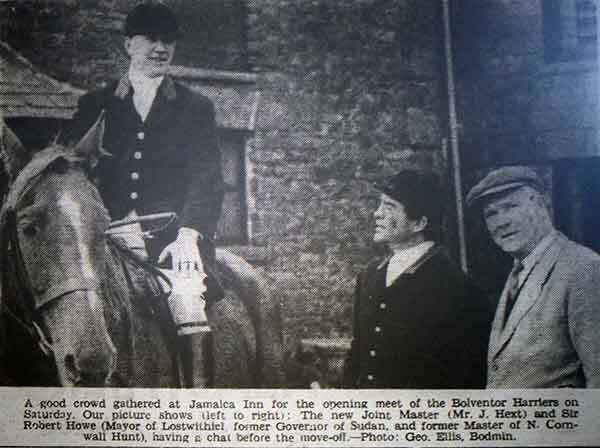 The friends of St. Luke’s were founded in 1892 and every year on the Sunday and Monday nearest to Midsummer Day, anniversary celebrations were held. 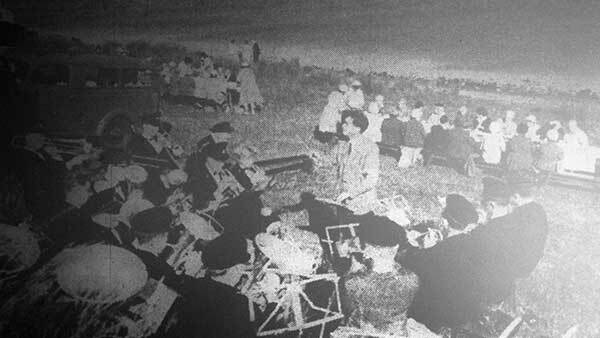 Open air services were held to accommodate the hundreds that attended. This was followed on the Monday by an open air picnic at Dozmary. 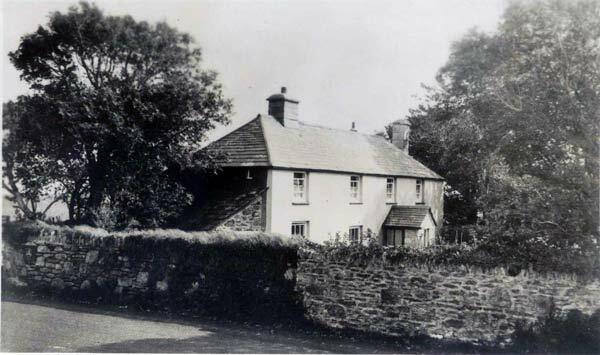 In 1846 Squire Rodd, of Trebartha, the landowner, built the Church of the Holy Trinity at Bolventor in the sheltered hollow under the New Inn. 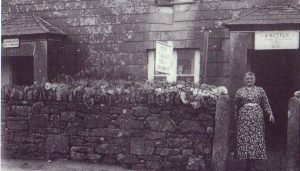 In the same year, the school was built (in the wall facing the road there was a large stone inscribed with ‘National School 1846’). This then became the reading room. 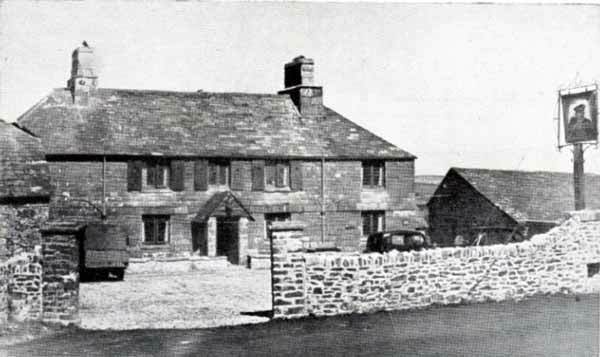 In 1851 the vicarage was built next to the church. 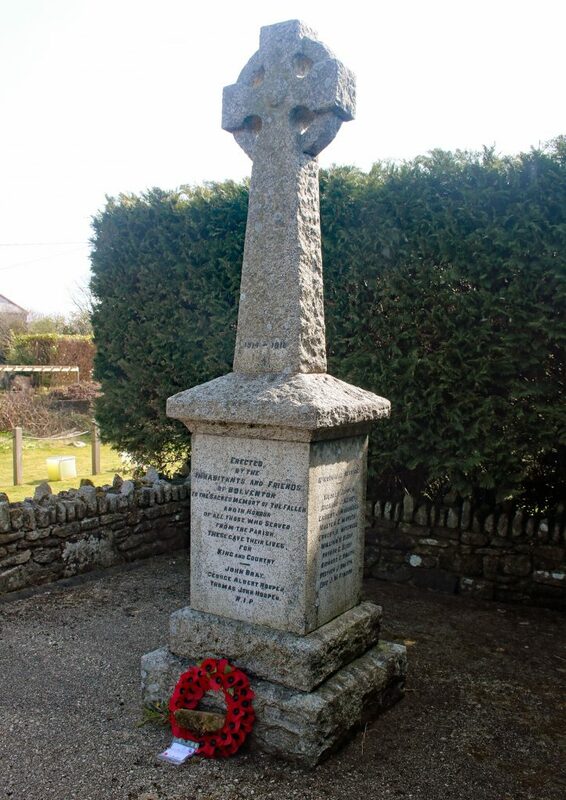 In the London Gazette, dated May 9th, 1849, the foundation of the ‘Consolidated Chapelry of Bolventor’ out of the parishes of Altarnun, St. Neot and Cardinham was announced, the incumbent to be appointed by Francis Rodd, Esq., And his successors, and the endowment of the benefice to be £45 a year, out of Dryworks Farm. 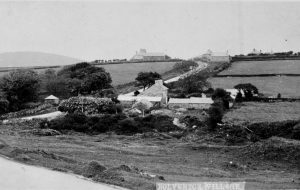 The Church had been consecrated by the Bishop of Exeter on 3rd July 1848, and was served by the Vicars of Altarnun and St. Neot until the first incumbent, the Rev. William Avery, was appointed. 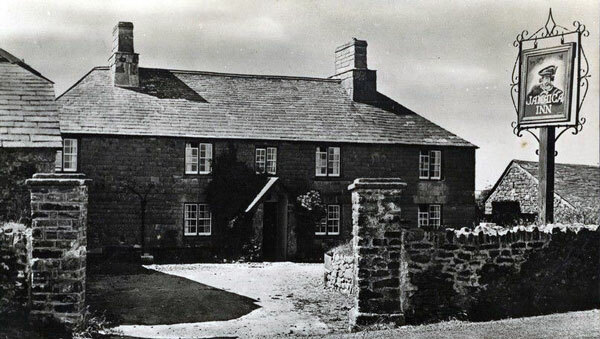 The first entry in the Register of Baptisms is on 10th September 1848 of Fanny, daughter of James and Mary Weale, of Palmer-bridge Toll house, gatekeeper; R. H. Tripp Vicar of Altarnun. 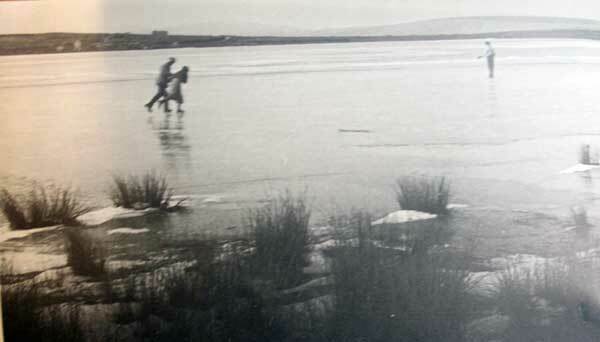 The first marriage was on 18th June, 1849 of John Herring Dawe, a tin streamer, of Deep Hatches, and Ann Lethlan, of Pridacombe, again by R. H. Tripp. Both bride and groom could not sign their names in the Register, but put their marks x. 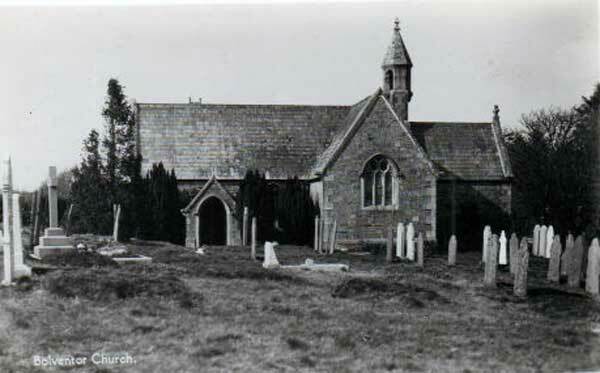 The first burial was on 4th June 1850, of John Bone, of Buttor Tor, age 3 years; William Avery, incumbent. Those buried to the end of 1854 were sixteen in all – the ages of two were 66 and 88 years; one was 16, and another 8 years; most were 1 or 2 months. 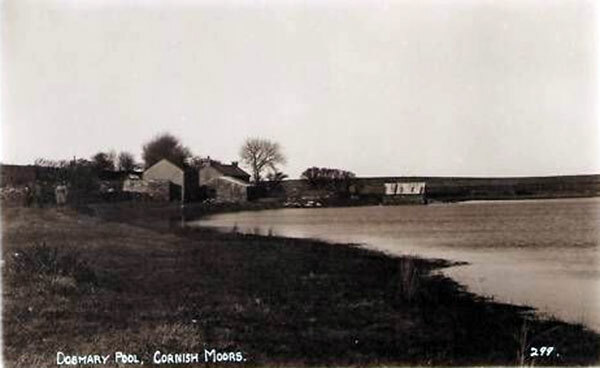 The third baptism was of Elizabeth Anne, daughter of John and Mary Parkyn, of Horrabridge, on 12th November 1848. (Elizabeth later married a Mr. Keast and passed away in 1944). 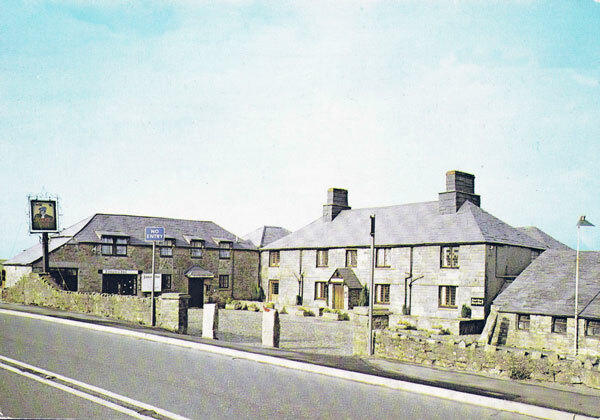 The Board school (to become the County Primary school) was opened in 1879. 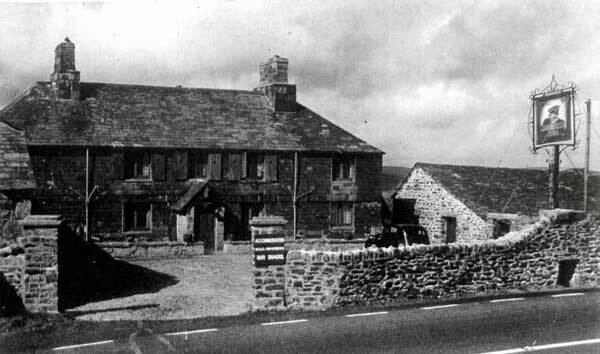 In 1905 there were 120 pupils in the school but by 1965 there were only 12 and finally, the school was closed in 1991 and after it had been used as the ‘Smugglers Museum’ by the Jamaica Inn owners it is now a private residence. Just like the school, the Church of the Holy Trinity with a falling congregation, closed on June 10th, 1981 and after spending 20 odd years unused and decaying, has now been converted itself as a private residence. 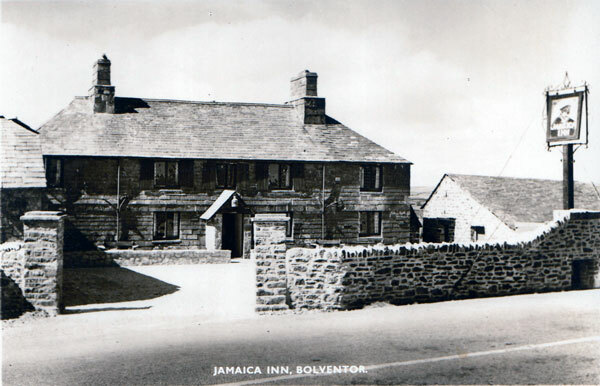 Jamaica Inn, April 1st, 2019. 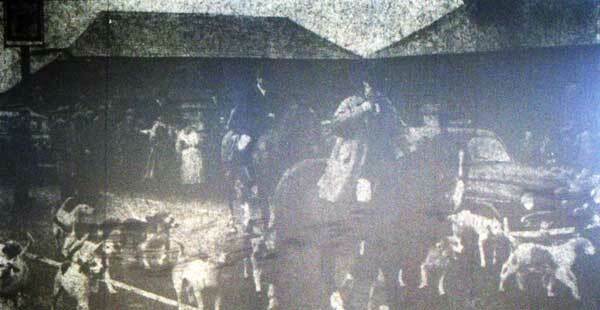 One character the village had, was Emma Nottle, a widow who ran a Tea/Grocery Shop in the far end Jamaica Cottages. 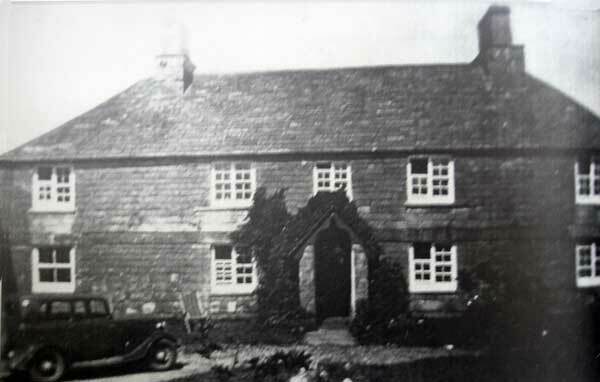 Her husband, George, had been a clay-worker when the family were living at Priddacombe. 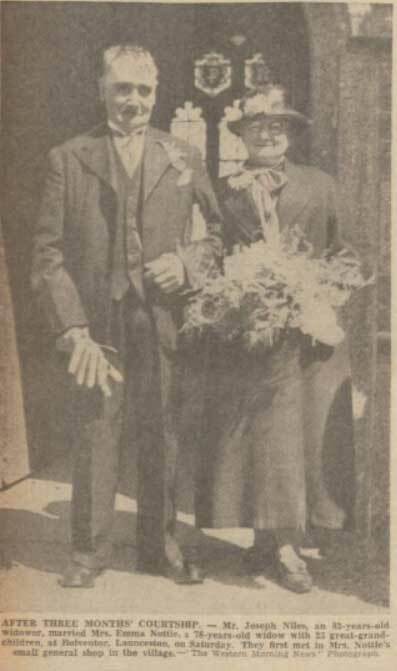 After George died in the May of 1918, Emma faced with no bread winner, started her business in 1921, with only ten shillings in savings at the age of 62. Keen to make money she even did lodgings. But she soon built a successful business. However, competition came when her neighbours, Mr. and Mrs. Couch, also started a shop in competition, and Mrs. Couch and Emma were frequently heard in heated argument. 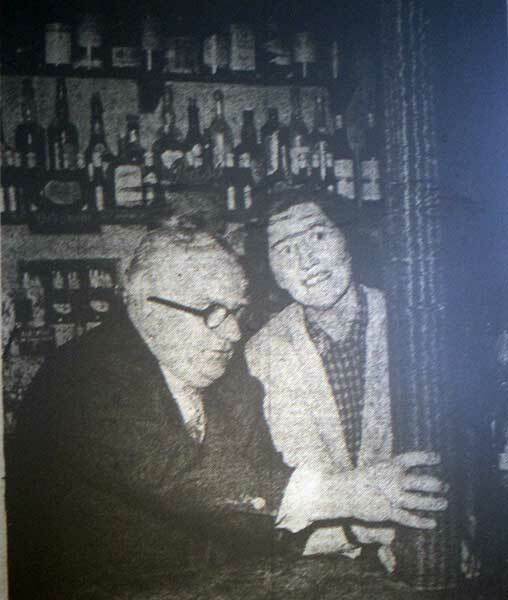 In 1939, at the age of 78, Emma married Joseph Giles, aged 82. Joseph had been visiting relatives in the area and had popped in for one of Emma’s tea’s, and romance quickly blossomed. Emma by had three children, eighteen grandchildren, and 23 great grandchildren. 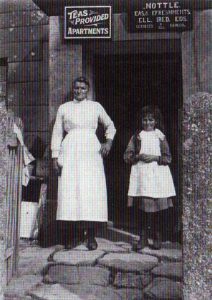 Emma also fostered Joyce Hambly (seen left with Emma), when her mother died at a young age. Emma sadly passed away shortly after the wedding in 1939. 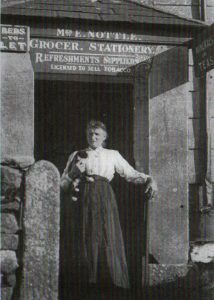 Emma Nottle outside her shop at Bolventor. The Couch’s shop being next door. 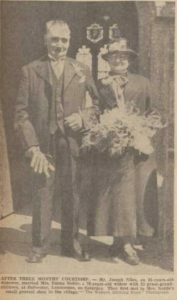 The wedding of Joseph Giles and Emma Nottle at Bolventor in 1939. 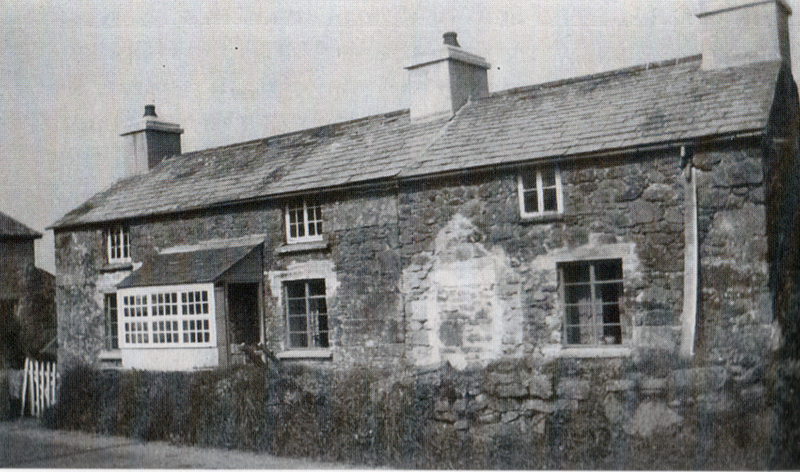 John was born in 1894 to Thomas Francis and Ellen Bray at Altarnun. He was a long time member of the St. Lukes Church congregation and for many years a worker in the Sunday School. 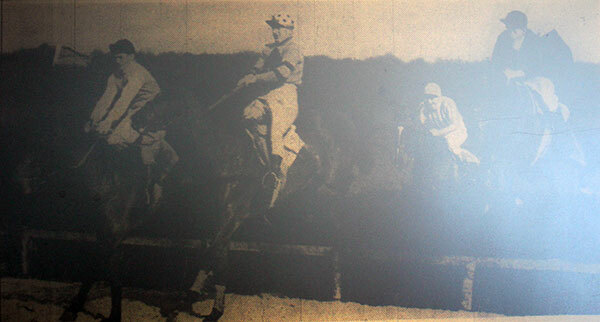 About the age of 18 he was put on the list of ‘on trial’ on the Circuit plan. He enlisted with the Dorset Regiment (Regimental No. 19973) serving with the 5th Battalion who arrived as part of the 34th Infantry Brigade, 11th (Northern) Division in France at Marseilles from Egypt on July 9th, 1916. The Division moved by rail from Marseilles to the Arras front. Here they stayed to get used to the Western Front before moving to the Somme. They took part in the attack around Thiepval on 26th September 1916. 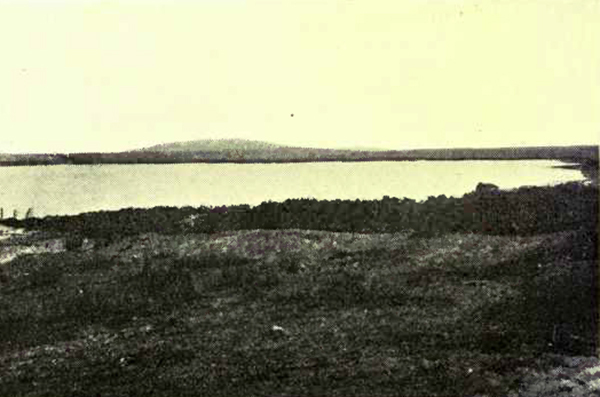 The Division stayed around the St Pierre Divion area until early 1917. From here the Division took part in Operations On The Ancre and the various Battles of Passchendaele where John eventually died from his wounds sustained by a shell blast during the Battle of Broodseinde on October 8th, 1917. He was interred at the Dozinghem Military Cemetery, West-Vlaanderen, Belgium, Plot 8, Row, I Grave 18. He is also commemorated on the Bolventor War Memorial. 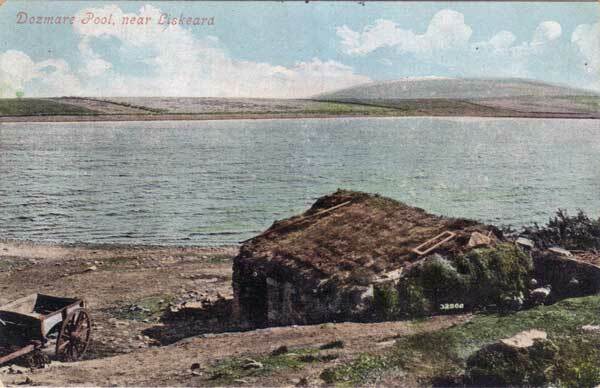 At the time of his death his residence was St. Neot, but his father was living in Launceston. The Battle of Broodseinde was fought on 4 October 1917 near Ypres in Belgium, at the east end of the Gheluvelt plateau, by the British Second and Fifth armies against the German 4th Army. The battle was the most successful Allied attack of the Third Battle of Ypres. Using “bite-and-hold” tactics, with objectives limited to what could be held against German counter-attacks, the British devastated the German defence, which prompted a crisis among the German commanders and caused a severe loss of morale in the German 4th Army. 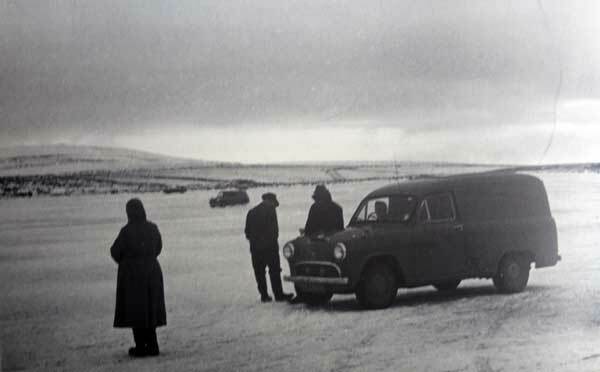 Preparations were made by the Germans for local withdrawals and planning began for a greater withdrawal, which would entail the abandonment by the Germans of the Belgian coast, one of the strategic aims of the British offensive. 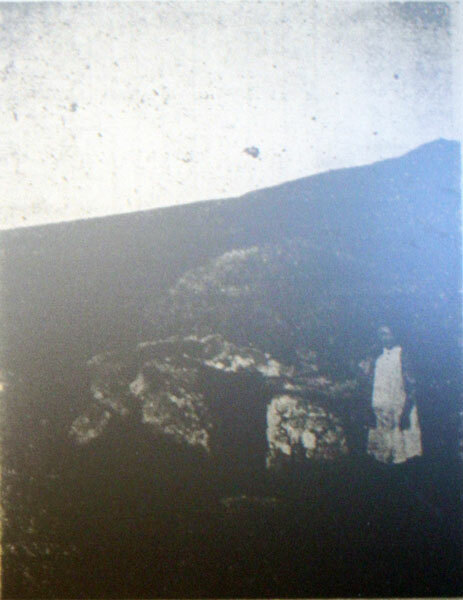 In the XVIII Corps area of Fifth Army, 11th (Northern) Division attacked towards Poelcappelle, 33rd Infantry Brigade on the left and 34th Infantry Brigade on the right. 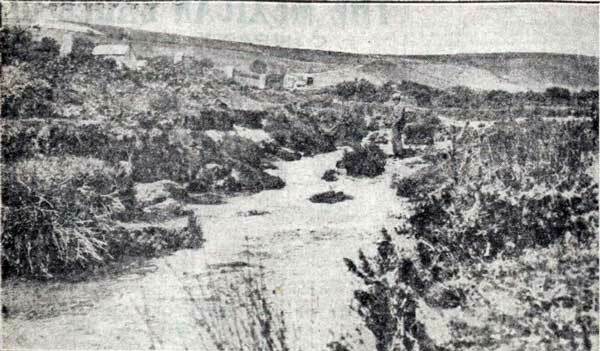 Both brigades attacked on a two battalion front. 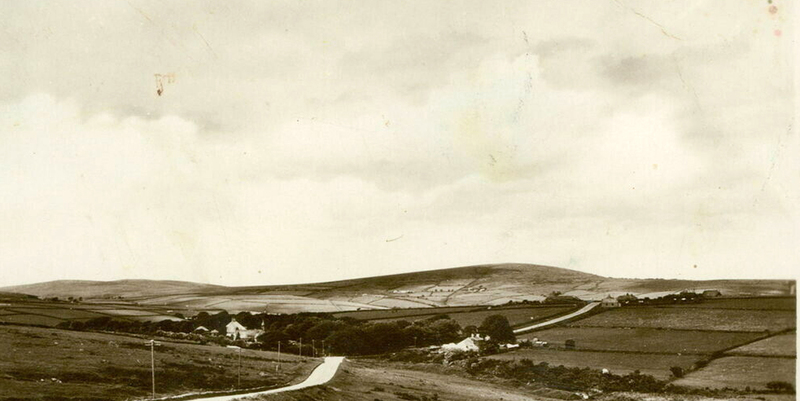 George was born in 1886 to Thomas and Betsy Hooper at Dewymeads, Bolventor. 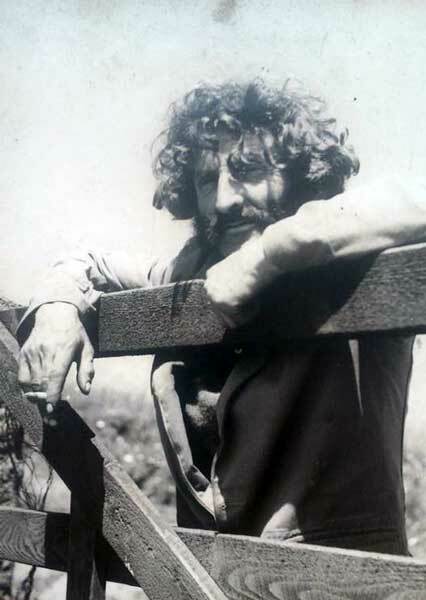 On leaving school he worked as a Miner at Trevadda Mine. 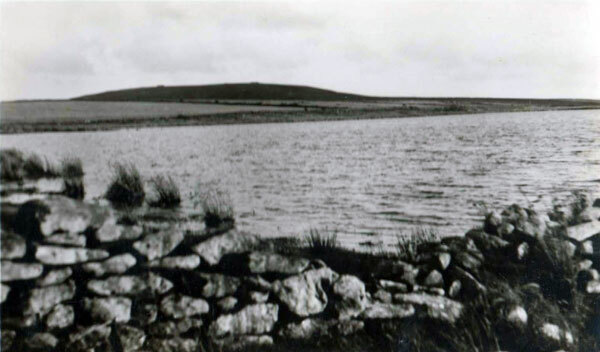 He enlisted in February 1916 at Bodmin with the Duke of Cornwall’s Light Infantry as a private (Regimental No. 240883) serving with the 1st and 5th Battalions. 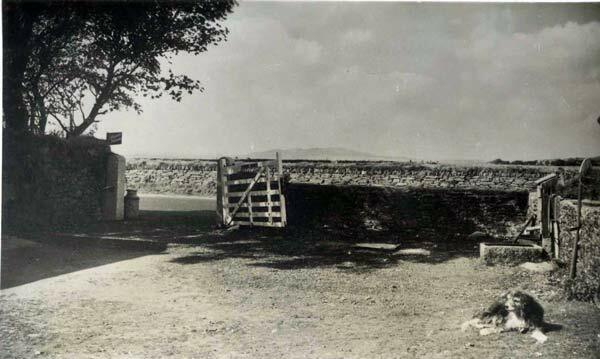 He was sent to Bournemouth for training and once there he was transferred to the Cornwall Pioneers Transport division under orders of 61st (2nd South Midland) Division. George finished his training at Falmouth and Tidworth. 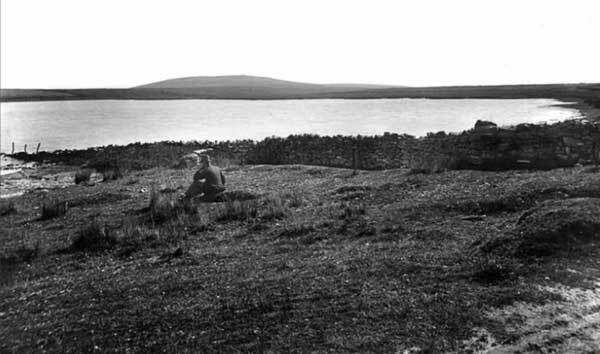 He embarked for France in May 1916 coming home for fourteen days leave in November 1916. He fought in many heavy battles during his time on the front including the Attack at Fromelles (an unsuccessful diversionary tactic during the Battle of the Somme). 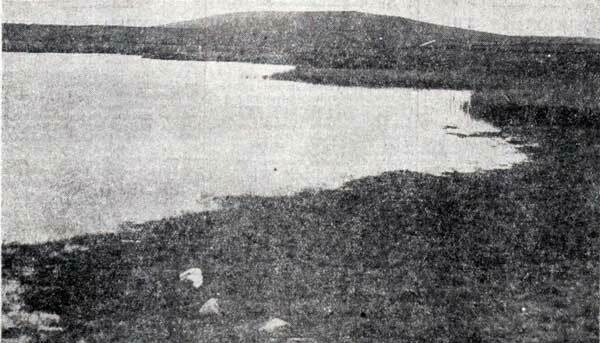 During 1917 his Battalion took part in the Operations on the Ancre and The German Retreat to the Hindenburg Line. George contracted broncho phenmonia on July 3nd, 1918 and became seriously ill and died on August 4th, 1918 at the 54th Casualty Clearing Station (54th Casualty Clearing Station was known as the ‘1/2nd London CCS’) which was then based in the commune of Aire. He is interred at the Aire Communal Cemetery, Pas de Calais, France Plot 3, Row H, Grave 4. He is also commemorated on the Bolventor War Memorial. 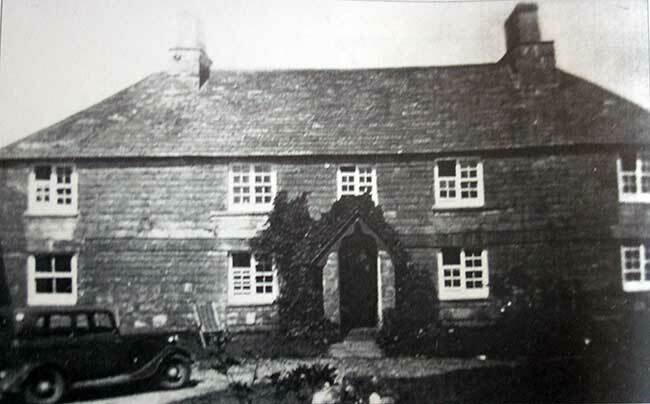 Thomas was born in 1890 to Thomas and Fanny Hooper at St. Neot. 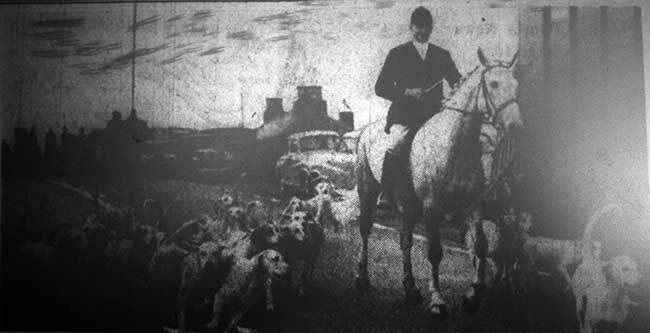 He enlisted at Liskeard with the Duke of Cornwall’s Light Infantry as a private (Regimental No. 202854) serving with the 7th Battalion. With his Battalion he saw action during 1917 in the German Retreat To The Hindenburg Line as well as the Battle Of Langemarck part of the Battles of Ypres. Thomas was killed in action on September 10th, 1917 whilst fighting in Flanders. His body was never identified but his name is commemorated on the Tyne Cot memorial, West-Vlaanderen, Belgium, Panel 80 to 82 and 163A. He is also commemorated on the Bolventor War Memorial. He left a widow Charlotte Jane Hooper. 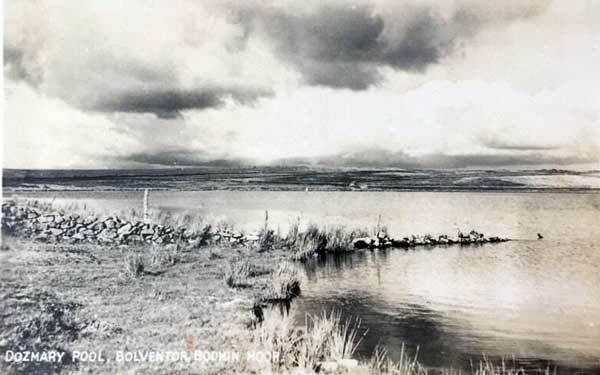 Bolventor War Memorial, April 1st, 2019. 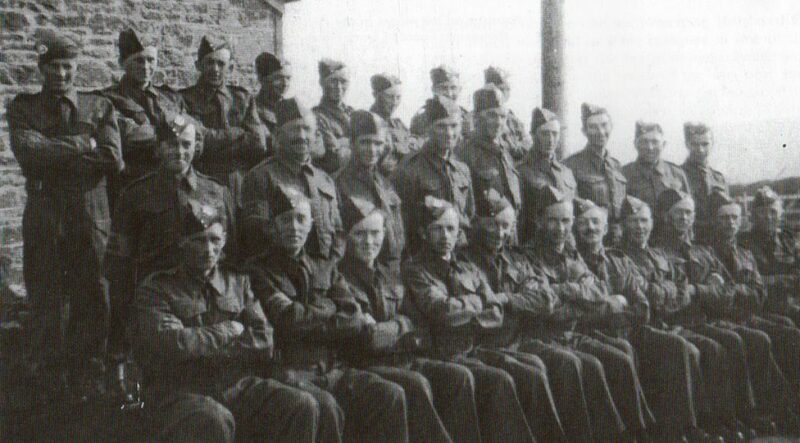 Bolventor Homeguard: Front Row: 1st left Joe Janes, 2nd left Les Chegwyn, 3rd left Frank Sleep, 7th left George Smeeth. Middle Row: 3rd left Tommy Hooper (alias, Blackbird), 2nd right Norman Hooper. Back Row: Arthur Stevens, 5th left Sam Sleep. 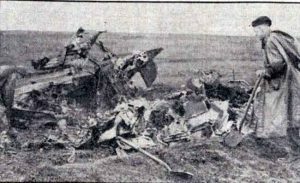 Above the wreckage of Halifax bomber that crashed on Bodmin moor near Bolventor in 1945. 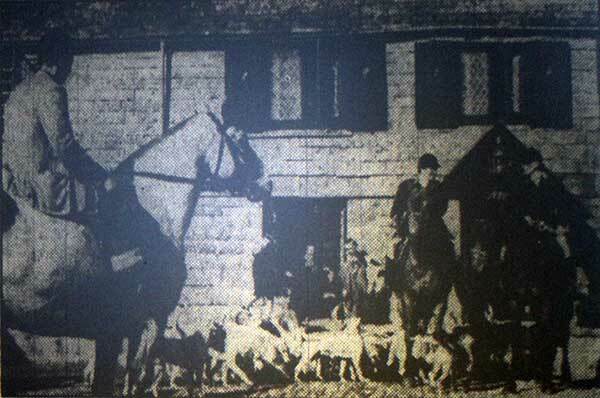 East Cornwall Hunt Meet at Jamaica Inn in the 1970's. 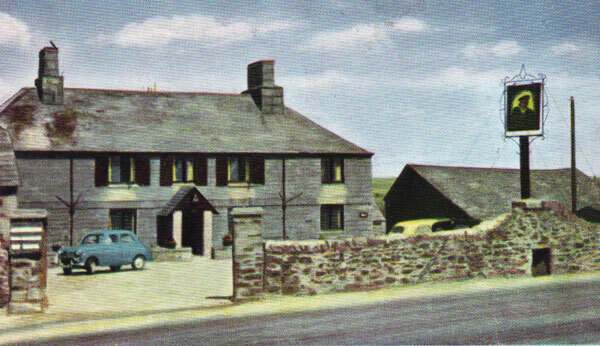 Jamaica Inn in the 1950's. 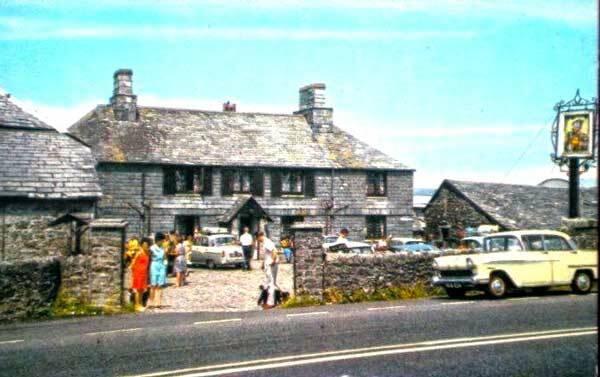 Jamaica Inn in the 1980's. 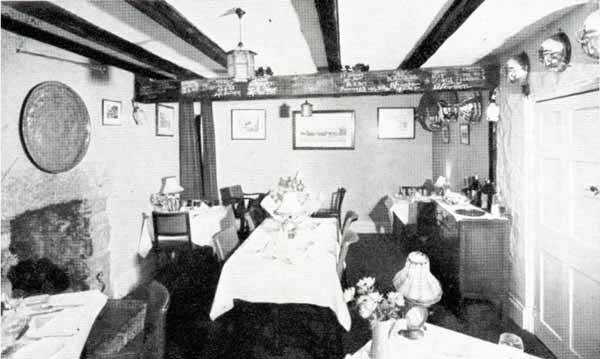 The dinning room at Jamaica Inn in the 1950's. 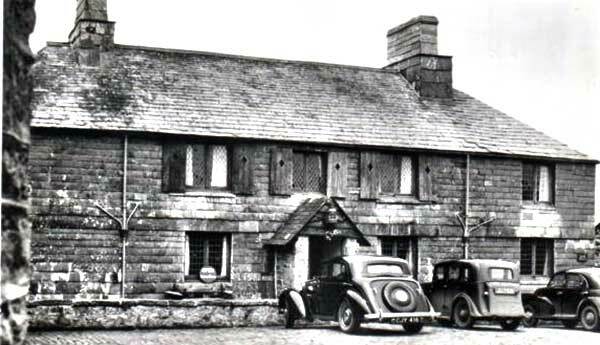 Jamaica Inn in the early 1950's. 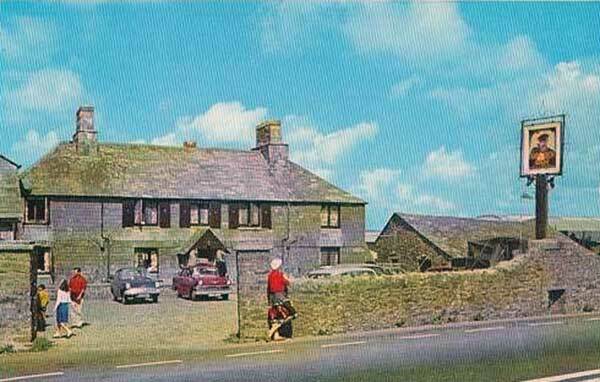 Jamaica Inn in the early 1960's. 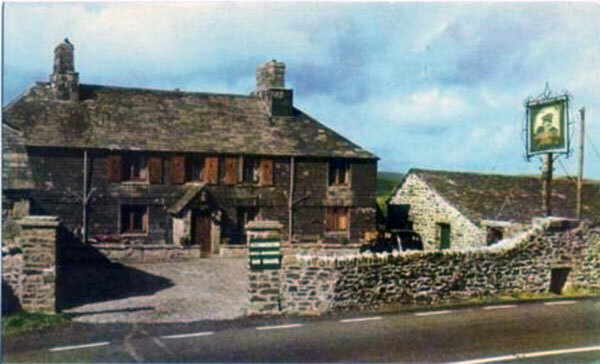 Jamaica Inn in the early 1980's. 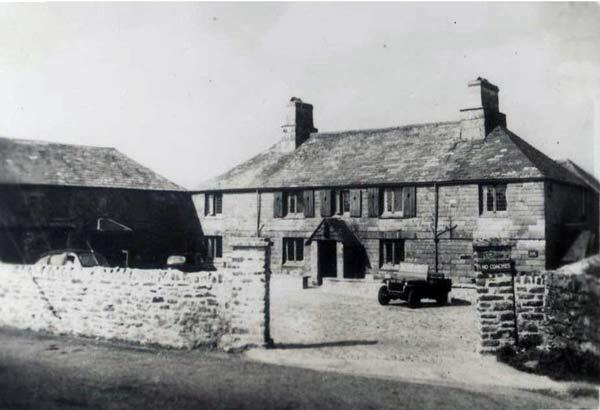 Jamaica Inn in the late 1940's.